Have you thought about how strange that first Pentecost must have been? As many as 120 believers, disciples and others, are gathered in a house, perhaps the same upper room where Jesus and the disciples had met for their last supper before his death. In this moment, fear undoubtedly still shadows them. And then they experience the unexpected, the unexplainable. Suddenly, with no warning, their senses are assaulted. Their ears hear a mighty, even violent, wind. Their eyes see fire, fire that separates into a flame floating above each person. And then their mouths open, their tongues are animated, and words and language, many languages, spill out. The Spirit is poured out on them, and they are unable to contain the power. It spills out into the room and into the streets. The noise is so great that passersby stop in the street, and a crowd gathers. Filled with boldness, these men and women, young and old, are propelled from the room into the streets. And in the months and years that followed, these men and women, filled with the power and presence of the Spirit, move from the streets of Jerusalem to cities across the Roman Empire. Today, the Spirit of God still fills men and women, still calls them, and still sends them. Pentecost was merely the opening chapter of missions, the first movement into Jerusalem, Judea, and the ends of the earth. Where is the Spirit calling you? As you move through the season from Easter to Pentecost, are you seeking the Spirit? Are you open to the call? How are you responding? The Spirit calls each of us differently, each of us to a unique response. All are called to a deeper life and to be a living witness, but some are called to go, and others are called to help send them. 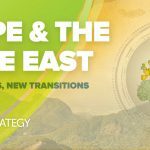 If you are hearing the call to go, we at Global Strategy are here to walk alongside you and explore what that might mean. Please reach out to us at GlobalStrategy@chog.org or 800-848-2464. Or perhaps you’re called to help send people. Would you help new missionaries reach the field more quickly? 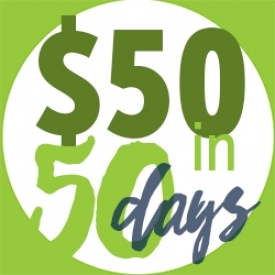 Whether you are a church or an individual, you can respond to our $50 in 50 days challenge. That’s $1 per day for each of the 50 days between Easter and Pentecost. Or perhaps as a church, you could multiply the challenge. All funds contributed for the $50 in 50 Pentecost Life challenge are designated for our Preparers of the Path fund, which is used to help new missionaries respond to the call more quickly. These new missionaries receive up to $20,000 from this fund to help them get started. 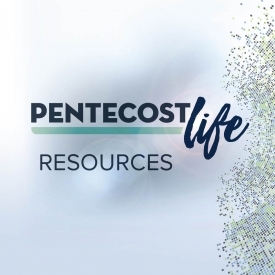 Whatever the Spirit is doing in your life, we at Global Strategy have published resources as part of the Pentecost Life initiative to help you as an individual or you as a church pursue the Spirit—devotional resources, small group studies, children’s curriculum, sermon starters, and more.